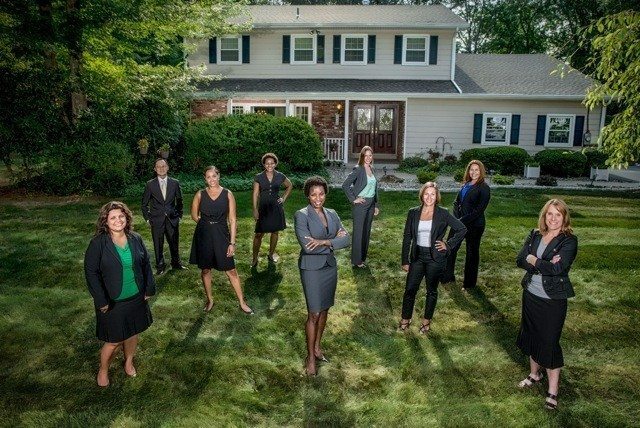 Inman is interviewing independent brokers. Here’s Kenyatta Jones-Arietta, broker-owner at R2M Realty. The biggest difference is me. I have never been one to give a brokerage name more power than its agents. It’s about the people, not the brokerage, and when people realize that, it takes away from the feeling that they will miss an opportunity going with a well-known brokerage than a startup. We have a lot more to prove. We will work a lot harder to earn the business and the respect. Kenyatta Jones-Arietta: We have a lot more to prove. We have a hold on the second floor of 86 Main St. The first room you enter houses our logo backdrop and our R2M Realty bikes. We have six bikes that are available for use of anyone who wants to visit the Rivertowns. They can borrow on a three-hour basis. Then you enter into the pit (People Interact Together), which is right on Main Street with three beautiful full-story windows. There is one desk, a bar-height table with bar chairs, a contemporary seating area with oversized ottoman, and a table full of real estate and fashion and interior design magazines. Love the table … I made it out of an old pallet. Because I love creating something new and the education that comes along with it. Kenyatta Jones-Arietta: I love creating something new and the education that comes along with it. In October 2013, when I learned the brokerage my license was hung with may dissolve. Instead of hanging my license on another broker’s wall, I decided I wanted to be in charge of my destiny … and the location on the wall. I couldn’t see myself going to another franchise, so I didn’t really have a choice if I wanted to continue with my real estate business. It has been 20 months since our official launch. 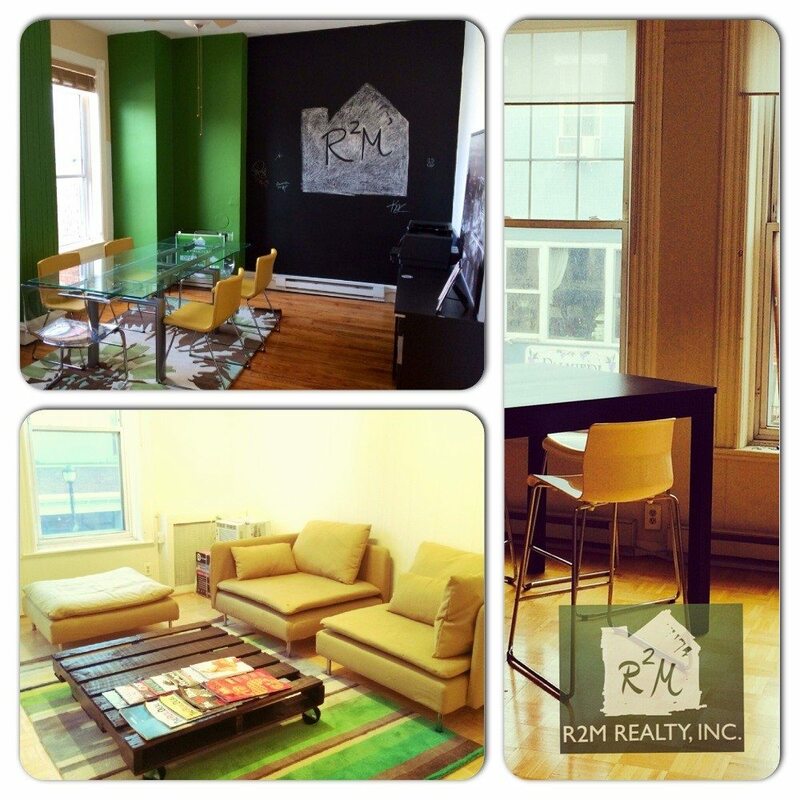 R2M Realty Inc. was born in November 2013. It kind of happened so fast that I didn’t see or feel any challenges. I had incorporated the name R2M Realty Inc. three years earlier and I was already an associate broker. I think it was all pretty easy once I decided this was my path. I actually started one with a few local indies from around the tri-state area. We meet once a month. It’s pretty cool. Great for brainstorming. I don’t know that we are quirky, but we are cool and cutting-edge … We have a cute little office that is more of a collaborative workspace than a traditional office environment. We are pretty tech-savvy and great with media … and social media. We also give back 3 percent of our commissions to our buyers’ and sellers’ local charity of choice. Our office is located on Main Street in Nyack. It’s on the second floor. It feels like home. We currently have one office with nine agents, five of them full-time. I can’t say that I have started to actively recruit yet. I get feelings about certain people I meet and kind of pursue them from there. But there are no active campaigns for recruiting. We are great with social media and because of my bodybuilding/competing background and being a woman of color, I tend to get a bit of media interest as well. Do you have office parties? Fun! I don’t know if you would call them office parties, though. We have events to which we invite our clients, past clients, family and friends. We just had our one-year anniversary party last month where we introduced the Rockland Rides project (our loaner bikes). It was well-received. Describe your brokerage’s digital presence. Do you have a website? We do, and we are currently discussing how to improve it for a better consumer experience. What publishing platform do you use? We’ve advertised and showcased our listings in a lot of the local publications, but I find that they don’t get the phone ringing. Are you active on social media? Which channels? Extremely big on Facebook with a bit of Twitter. Just really touching the water with Instagram. We receive calls from our social media efforts. What would you say are the biggest advantages to operating as an independent brokerage versus as a franchised firm? The biggest advantage of operating independently is that I am able to make decisions that may be outside-of-the-box thinking and not blocked by a franchises structure. I may need a little more time to see what, if any, challenges there are. Every day we are improving … trying new technologies, considering and implementing new marketing strategies, discussing and figuring out what we can do to better service our clients and address their needs. There is no one thing I can pinpoint per se. Every day is an improvement. Are you an independent broker who’d like to participate in our profile series? Email Amber Taufen.